If you are animal print hat lovers, our Black Zebra Cuff Winter Fleece Hat is just what you, ladies will be looking for. 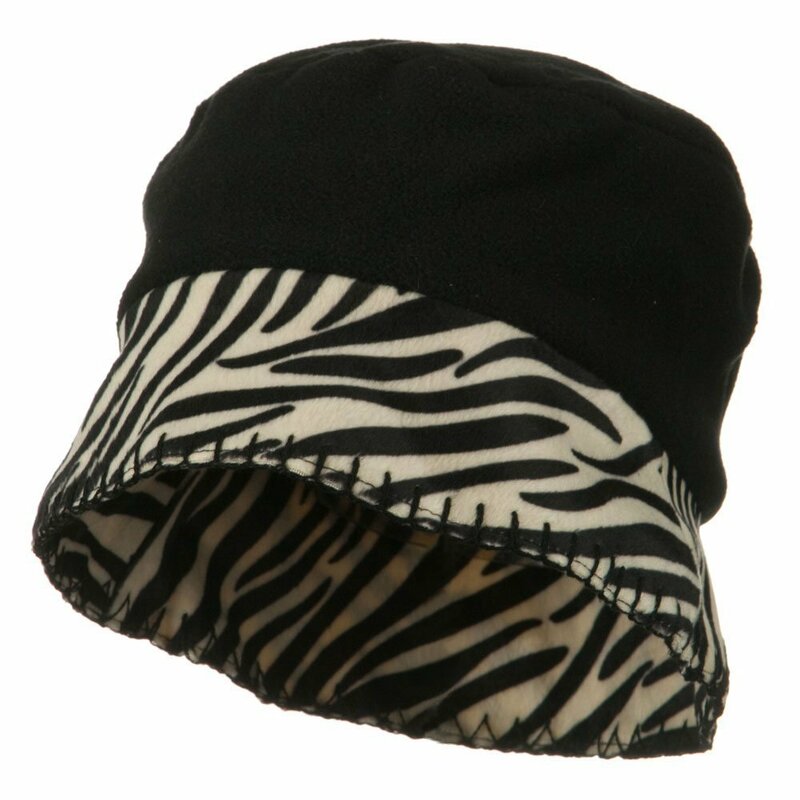 Featuring very soft fleece material, this black bucket hat stylishly features zebra print cuff. This black fleece hat matches well with any of your outfits in fall and winter. This ladies winter bucket hat is easily crushable and packable, so this is great travel hat as well. For your convenience, 2 different sizes of S/M and L/XL are available and only this zebra print cuff is available for this hat. Next time you want to add accented look on your outfits with animal print, do not forget to get this amazing Black Zebra Cuff Winter Fleece Hat. Made of 100% polyester fleece. S/M and L/XL are available for ladies. Crown measures 3 inches high, dual layer. Brim measures 2 1/2 inches wide, floppy brim, Thick, soft and warm material. Hand washable.